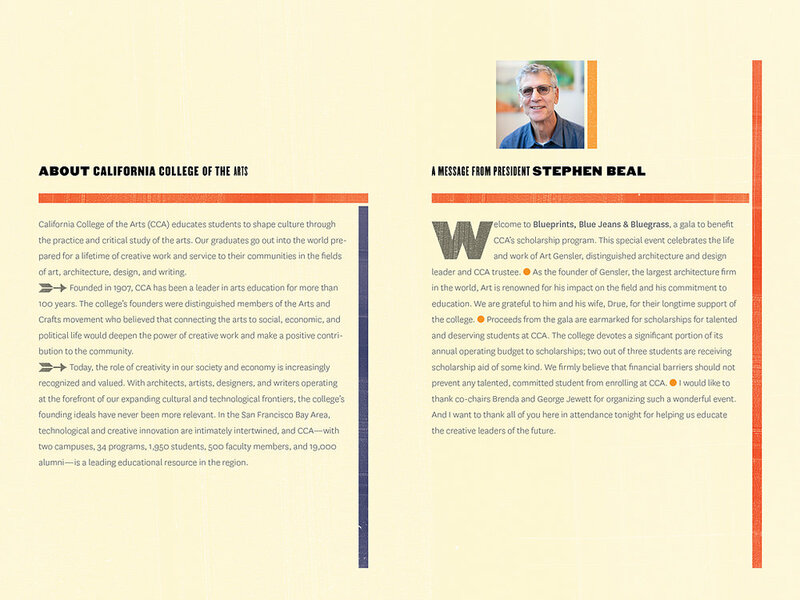 A multitude of materials designed for the California College of the Arts annual Gala. 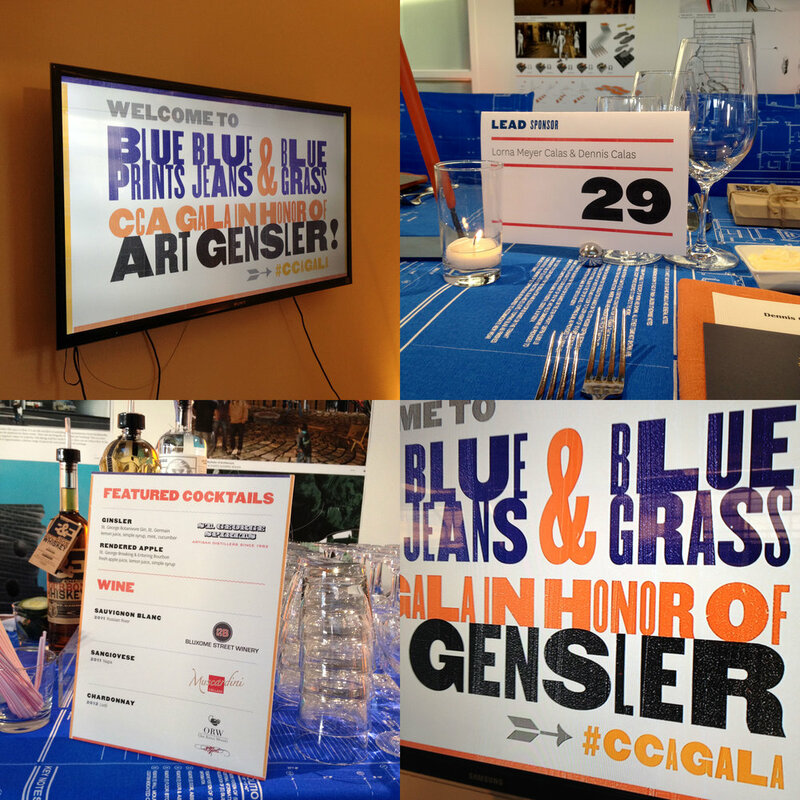 Blueprints, Blue Jeans, and Bluegrass honored the life and work of distinguished architecture and design leader and CCA trustee, Art Gensler. The Gala was co-chaired by Brenda and George Jewett (BArch 1996) who helped raise over $768,000. 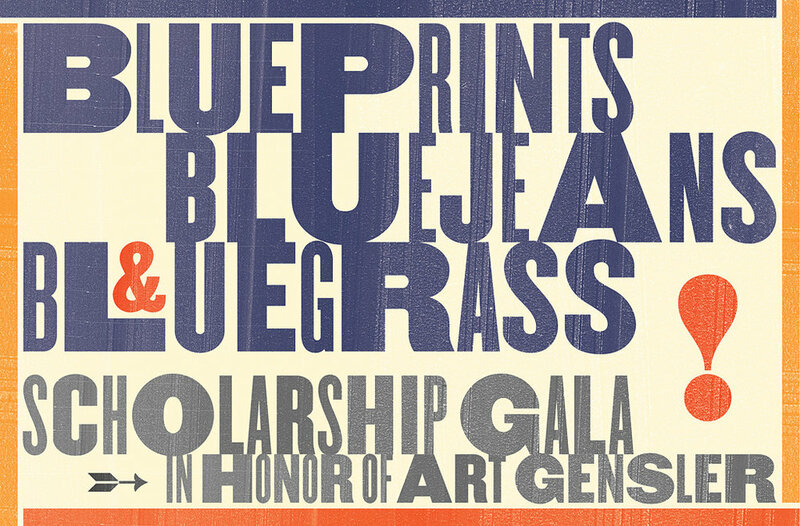 Net proceeds from the event benefit talented and deserving students through the CCA scholarship fund. The Gala was a huge team effort involving the College’s Development, Communications, and Facilities offices; Gala co-chairs Brenda and George Jewett; Gala honoree Art Gensler; and event designer Stanlee Gatti.